Cheese, glorious cheese! If I ever get to a point in my life that a doctor tells me cheese is off the menu, I don’t know what I’d do. It’s a major food group in this household. That and fresh bread. Oh and wine. Can’t forget the wine! There are a few cheeses we enjoy making at home and one of them is mozzarella. A few years back we bought a book by Ricki Carroll called “Home Cheese Making”. And the inspiration for this recipe comes from here. Her recipes are for pasteurized milk but because we only use raw milk for this we have to adjust here and there. Raw milk is by far the best choice for most cheeses as pasteurizing destroys some of the wonderful flavour and breaks down the proteins that are good for you and are ideal for proper cheese making. We haven’t tried parmesan yet but we’ll be limited to pasteurized as it calls for skim milk. When you look for a raw milk source, talk to the farm, find out how often they test the milk for safety. The farm we use checks every other day. 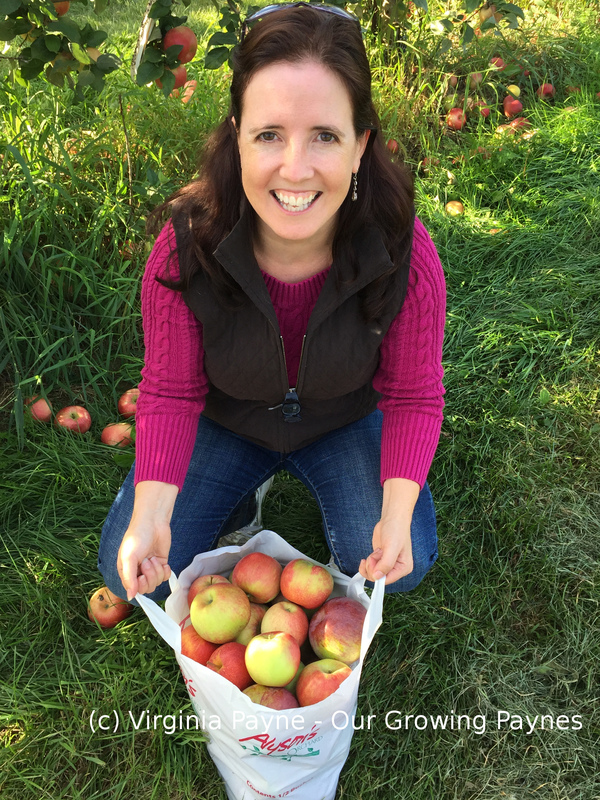 For this recipe we use a gallon of raw milk. You want to gently heat it to 55 F. Once it is this temp you want to add 1 1/2 level tsp citric acid dissolved in 1/2 cup of water to the mixture. I use spring water not tap water. 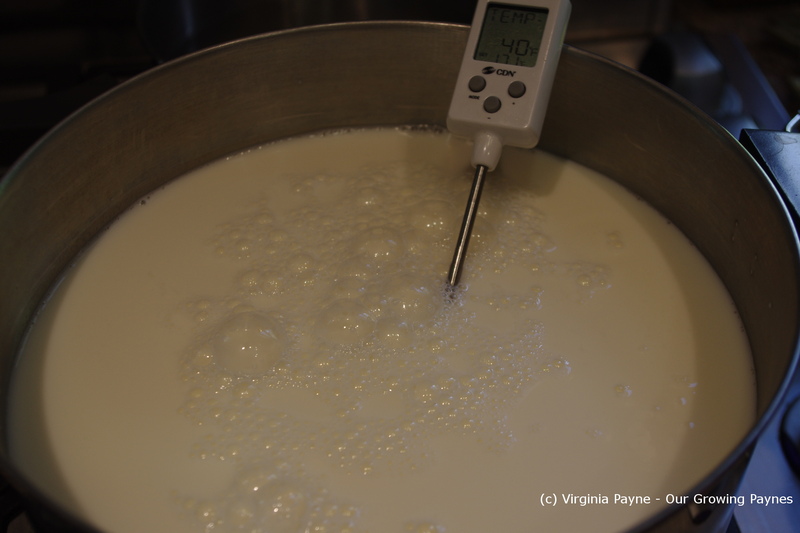 As the milk heats you want to stir regularly so it doesn’t catch on the bottom and the temp is regulated throughout the batch. 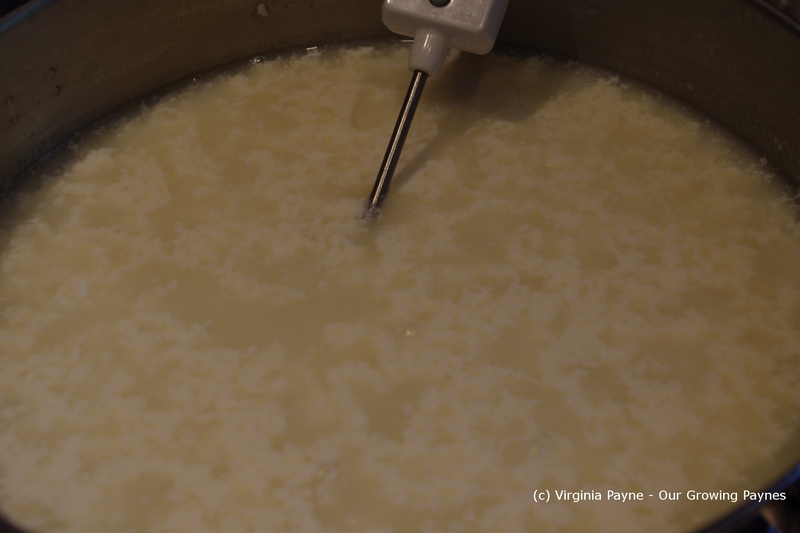 As the milk heats up you will see bits of curd starting to float at the surface. The next step is to add the rennet at 90 F. A couple of things about rennet. It comes in liquid form or tablet form. If you have it in tablet form you want to do a 1/4 tablet in a 1/4 cup of spring water. If you have it in liquid form then a 1/4 tsp. Liquid rennet has a shelf life but I have found you can still use it after the shelf life but you may need to add more to the recipe. 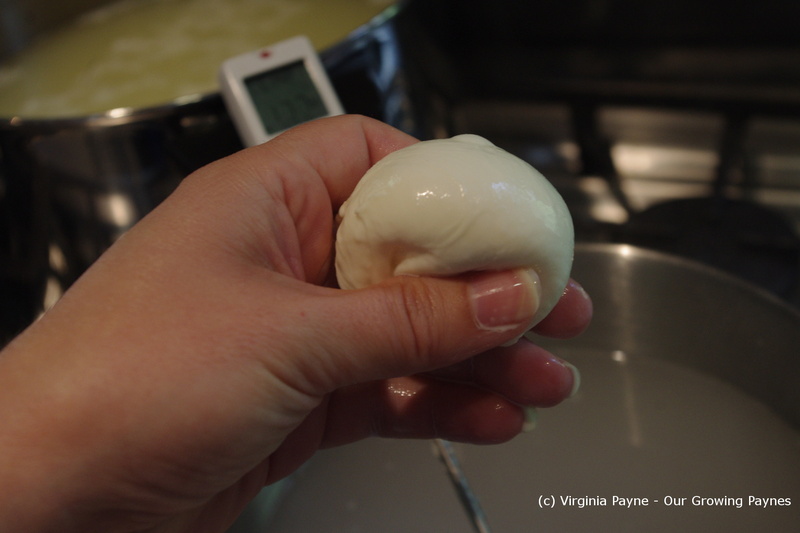 This is tricky as if you use too much the curd forms a big ball! Heat slowly to 100-105F then turn off the heat. 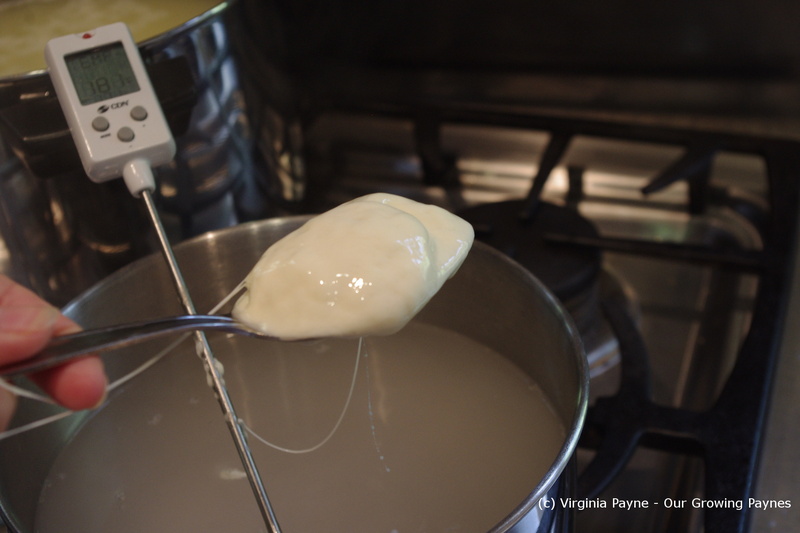 You will see the whey separating from the curds. 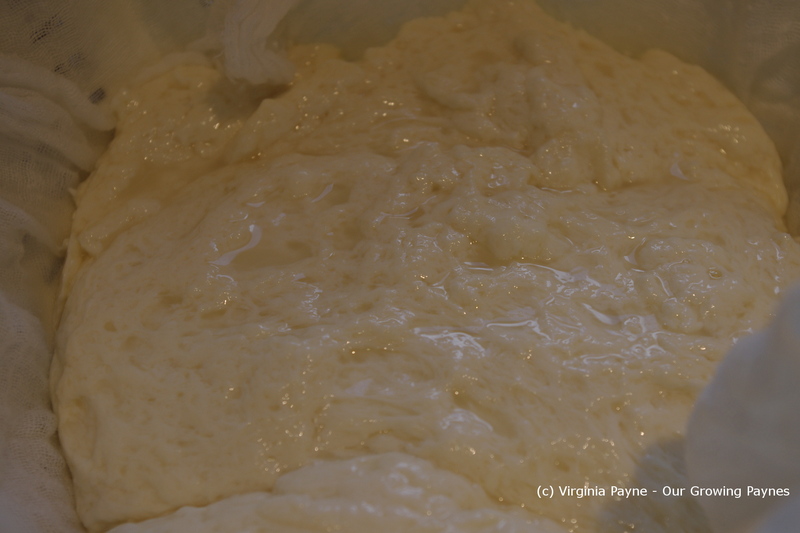 After a few minutes it is ready to scoop into a colander lined with cheese cloth or butter muslin. You want this over a bowl as the curds need to drain. 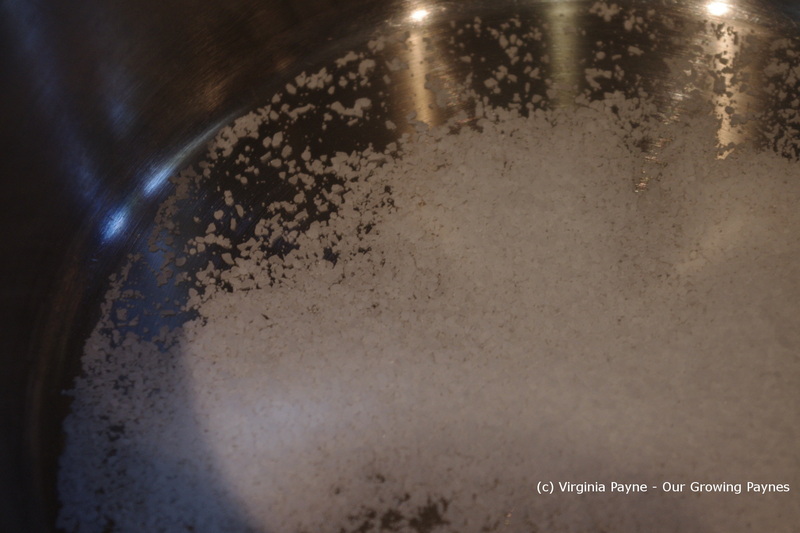 While I am doing all this I heat a pan of water with kosher salt to about 175 F as we need this to cook the curds and stretch them into mozzarella. 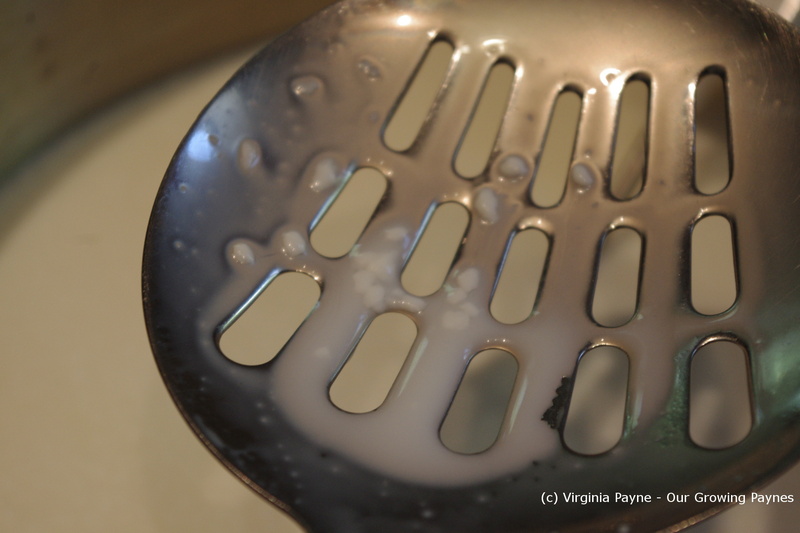 Use a slotted spoon to scoop up some curds and place in the water. 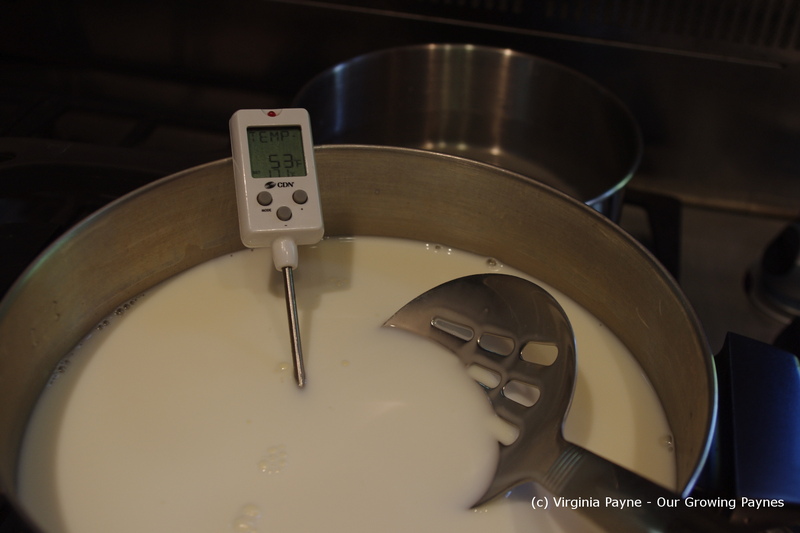 The water can get up to 185 F which is ok but keep an eye on the temp to adjust as needed. I usually keep the curds in the water for 20-25 seconds before I check it. This is hot work and be careful not to burn yourself! You want it to look melty. Take it off the spoon and lightly stretch it and fold it over itself. You want the center to be smooth as well. It is important not to overwork the cheese. You may have to then put it in the water for a few seconds at a time to complete the process. It does take a bit of practice so don’t get frustrated if it takes a couple of times to get it right. Some people get it right off and others need to be patient. Form little balls and place in cold water to cool down. Once they have cooled a bit slice and serve. This is not a cheese that stores well because it is so fresh. You can store it in the fridge in a covered container but it is so good it’s hard to have any leftovers! 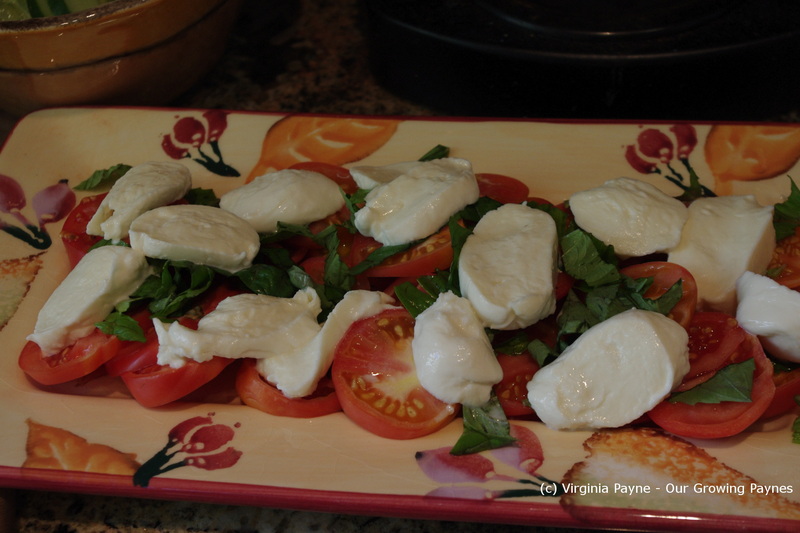 I sliced it and served it with tomatoes from the garden and basil with balsamic vinegar. I let people salt to their personal preference. I like mine salty but not everyone does. 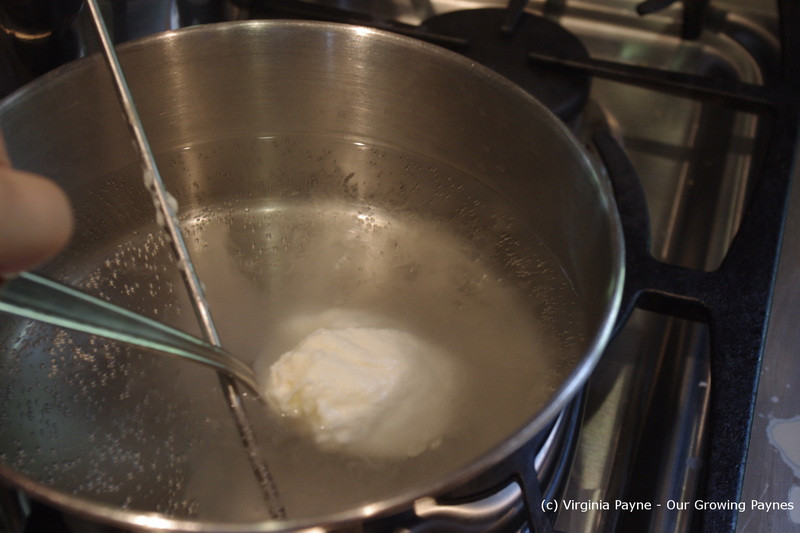 Doing it this way you can have fresh cheese in 30-45 minutes.